Its not just a simple yes and no to answer these questions. Some detox diets and supplement programs can be a “fad” and are expensive. Some leave you feeling great, some great for a while, but some leave you feeling unwell too. The body is designed to detoxify but it’s not just the liver involved in detoxification – the other organs such as the gut, the kidneys, lungs, lymphatic system and the skin are also involved in this process. So yes, the liver’s job is to detoxify but with the constant bombardment of chemicals and toxic metals from the environment and from our foods – think preservatives, colouring and flavouring – and consider alcohol, coffee, metabolised hormones and medications that all need to be processed by the liver – the liver can become overloaded, sluggish and not function as efficiently. If there is a dysbiosis in the gut – an imbalance of good and bad microbes, then we can get toxins from within our body as well. Alongside this if the bowel is sluggish then all these toxins will sit for longer in our body. – this may be a result of an overburden of toxins. Reducing the toxic burden on our body by improving our diet and lifestyle, improving gut barrier function and supporting the organs that detoxify. Providing the right nutrients the liver needs to support all phases of detoxification. Making sure the gut is functioning well, the kidneys are supported and the bowels are eliminating efficiently. Reducing the load placed on these organs – removing chemicals and heavy metals exposure – both from the environment and from our foods. It is also removing inflammatory foods – think sugar, alcohol, coffee, refined white flour – and replacing with fresh fruit, vegetables and plenty of water. Toxicity is unavoidable. Our world is full of chemicals such as pesticides, and plastic chemicals such as phthalates and parabens (found in water bottles, take away coffee cups and food containers, raincoats, receipts, toys etc), as well as toxic metals, particularly arsenic, cadmium, lead, mercury and aluminium. We can never be completely free of these chemicals and metals – they are in the air, water, soil and this way they can get into our food. But we can reduce the load of these toxins in the body. So, to minimise the toxic load: Recognise bad plastics. Avoid drinking out of plastic bottles. Don’t heat food in plastic or cook in plastic containers in microwaves, and remove lids on take away coffee cups or avoid altogether – buy a reusable glass mug. Store food in glass containers. Wash your hands especially after handling receipts, and leave your shoes at the door. Review your personal care products and cleaning products – buy natural, additive free products – there are plenty available in the shops these days and are affordable. Wash fruit and veg before eating and where possible eat organic. Place plants and ionisers around the home to clean the air. Avoid recreational drugs and cigarettes and alcohol. And yes, support your body with healthy eating – whole foods, freshly made meals, good sources of proteins such as fish and nuts, lots of fruit and vegetables (preferably organic) – eat all the colours of the rainbow, and fresh filtered water. Or visit your naturopath who can support you through an individualised clinical detoxification plan. Do this with the knowledge that you are receiving a personalised evidence-based health care plan that will suit your body. 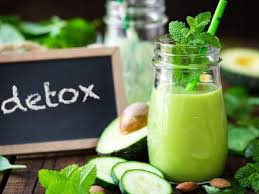 For more information contact the Karrinyup Wellness Centre and book in a complimentary 15 minute assessment with me to discuss your detoxification needs and I can explain what is involved to bring your body back into balance. 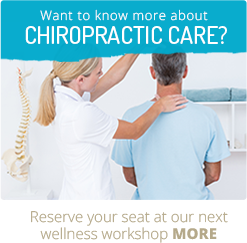 Hechtman L. Clinical Naturopathic Medicine. 2012, NSW, Australia, Churchill Livingtone, Elsevier.